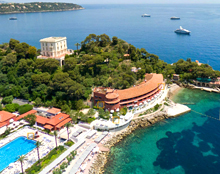 Dive into the cultural riches of the French Riviera and prepare to be dazzled every step of the way by the splendours you'll discover! 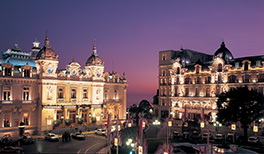 Monaco and its surrounding areas are an open-air museum where you will travel across centuries of history during many fun activities and visits. • Discover the oldest part of the ancient city-state – also called the Rock – home to many of the country’s institutions, including the Prince’s Palace that is open to visitors. As you walk along the maze of old streets, you’ll find old vaulted “Renaissance” houses, prestigious shops and small businesses that have all travelled through time and Monaco’s rich history. 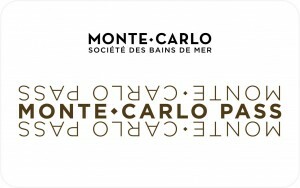 You’ll also be amazed by the 6,000 Mediterranean species on display at the world-famous Monaco Oceanographic Museum. • In the old town of Grasse, you’ll discover the perfume workshops of Fragonard, Galimard and Molinard, where you will team up to take on the role of perfume-making apprentices. • If you love painting studios and museums, drop by the Marguerite and Aimé Maeght Foundation and the museums with paintings by famous artists such as Matisse, Chagall and Picasso. • You’ll appreciate extraordinary local artistry at the Biot glass factory and the Vallauris pottery workshops. 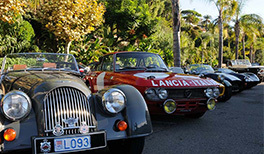 Car rally: Discover the treasures and wonders of the Côte d’Azur and the hinterland behind the wheel of a collector’s car or racing car. You’ll choose from various activity options or stops throughout the rally, as part of a team-building exercise or simply to explore. 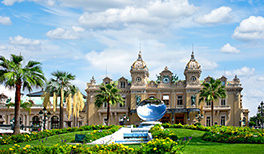 Monaco Green Tour: The Monaco Green Tour is an ideal opportunity to discover Monaco, visit its top cultural spots and learn more about its commitment to sustainable development. During this fantastic foot rally, the teams try to solve puzzles as they walk, finding clues and eco-friendly means of transport along the way. Great for team building! 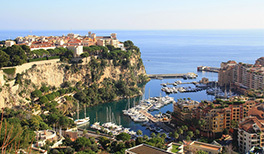 James Bond Mission Rally: Navigate Monaco by following in the footsteps of James Bond. Participants must find clues to become the next James Bond whilst frantically making their way about Monaco. It’s the perfect time to enjoy the Casino and its atmosphere full of games and temptation. In this intriguing group activity with a fabulous theme, participants work together and bond as they take on the role of the legendary spy from the films. CSI: “Made in the French Riviera”: A customised scenario based on your company/sector or the seminar theme. 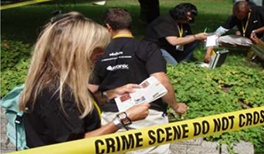 Attendees will solve the puzzle using staging, newspapers and magazines, gathering evidence, taking footprints, suspects and instigators, a science laboratory and more! The suspense and excitement are palpable until the very end.